Guest rooms are equipped with a trouser press and an alarm clock. 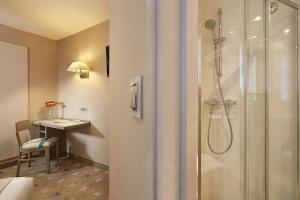 Each room have a private bathroom with a hairdryer. 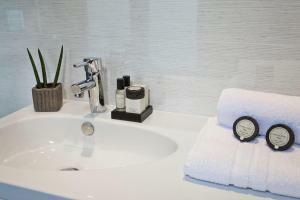 All rooms are serviced by a lift at hotel Alizé Grenelle. A buffet breakfast is served every morning in the dining room. Breakfast can be served to your room upon request. 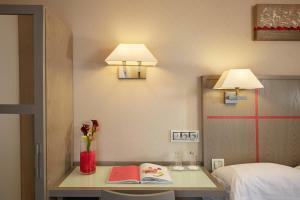 Alizé Grenelle Tour Eiffel is just 50 metres from Charles Michels Metro Station, providing access to the Latin Quarter. Private parking is available 50 metres from the hotel with an additional cost and upon prior reservation. Please note that the maximum height for the car park is 1.80 metres. Guests are required to show a photo identification and credit card upon check-in. Please note that all Special Requests are subject to availability and additional charges may apply. Parking is subject to availability due to limited spaces. This air conditioned room features satellite TV and a safety deposit box. The private bathroom includes a hairdryer. 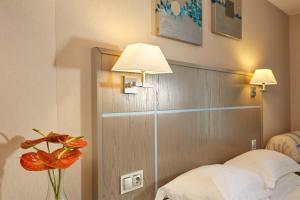 Rate: € 67.00 ... € 170.00; select dates below to get current rates. This air conditioned room features satellite TV and a safety deposit box. 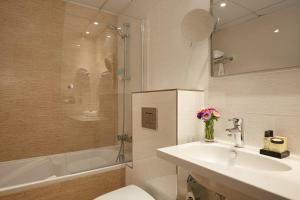 The private bathroom includes a hairdryer and separate shower. This air-conditioned room is more spacious and offers a safety deposit box, free WiFi and a flat-screen TV with satellite channels. 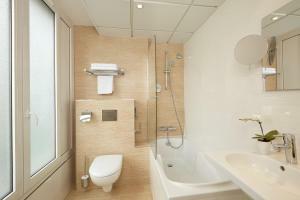 The private bathroom includes a hairdryer and a bathtub.